I just love quince frangipane tart. It is such a wonderful, classic French dessert. This recipe is based on Damien Pignolet’s recipe in french. I always use this recipe as the base for my frangipane tart. It is great because you can make the tart whenever you feel like it, not just in the quince season. Of course, if it is quince season, you could use poached or baked quinces. At first, I thought this jam was not particularly good because the pieces of quince don’t break down. But now I see that as its advantage. The pieces of fruit taste a lot like glacéd fruit – perfect for tart bases. 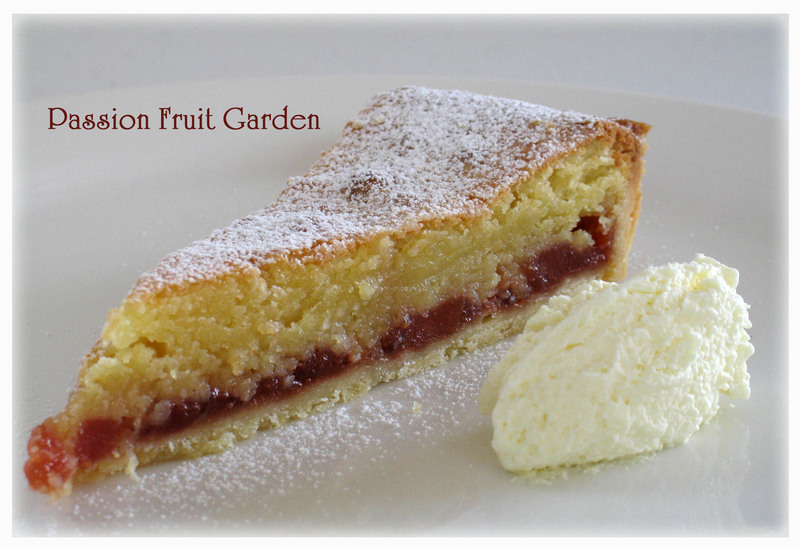 I now make this recipe especially for my frangipane tarts. It is based on an Australian Women’s Weekly recipe. Peel and core quinces (set cores and peelings aside). Cut quince flesh into small, evenly-sized pieces. Place cores and peels into a small muslin bag; tie to secure. Place quince pieces, bag, rind and lemon juice into a pot. Bring to the boil then simmer, covered, for 1 hour. Bring to the boil and maintain until temperature reaches 105°C. Test to see if jam is set; if not, continue boiling. 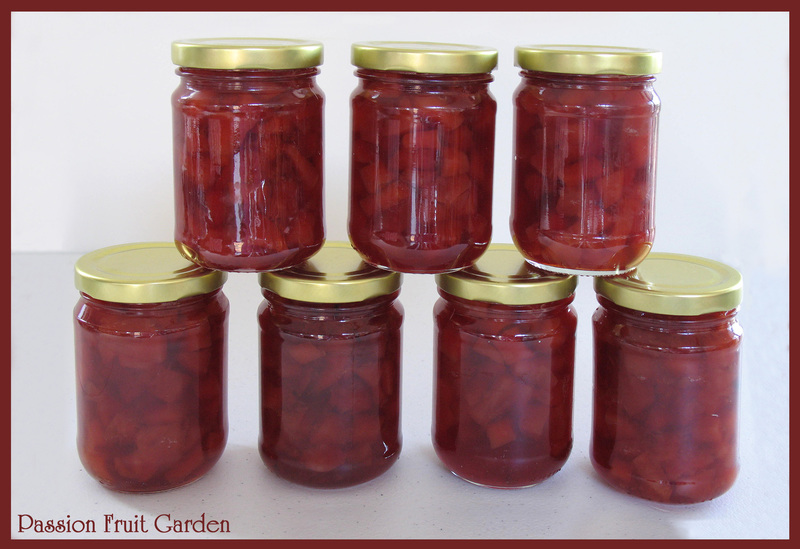 When jam sets, pour into sterilised jars and seal. You should not have any trouble with this jam setting as quinces are very high in pectin. A lot of people are nervous about making pastry but it is extremely simple and this one is easy to handle. 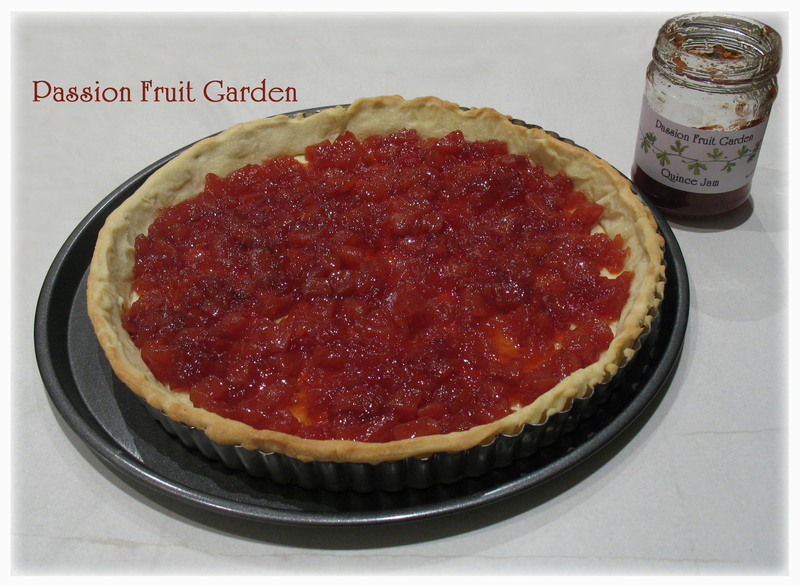 A few years ago, I decided I was going to become a good tart maker so I started making them at every opportunity. I am a big fan of Belinda Jeffery. She is a great baker and I have learned many tips from her wonderful books. I have made all her tarts. Always use cold butter and cold water. Don’t over work the dough. Once the ingredients are just mixed, stop. If you over mix, your pastry is more likely to shrink. Don’t panic if the pastry is so short you cannot roll it out in one piece. Roll what you can and put that piece in your tart tin, put a little water on the edge of that piece then get another piece and join it up. Continue until your tin is covered. It may not look too pretty but once the filling is in, no-one will notice and, if they do, que sera. Do not stretch the dough …. again, it will be more likely to shrink. Let your pastry rest after mixing and after rolling. Again, if you don’t, it will be more likely to shrink. Save a little bit of dough to patch your shell in case it cracks whilst being blind baked. Use a pair of scissors to cut the pastry about 1cm taller than the side of your tart tin because it is likely to shrink. In a small bowl, beat together the egg, vanilla and icing sugar. Put the flour and salt into a food processor bowl and pulse a few times. Place the butter over the flour and pulse until just mixed in. Transfer the mixture to your bench top and knead until just combined. Wrap pastry in Glad Wrap and refrigerate for 1 hour. Take pastry out of fridge and place it on a piece of baking paper. Wait until it is easy to roll. 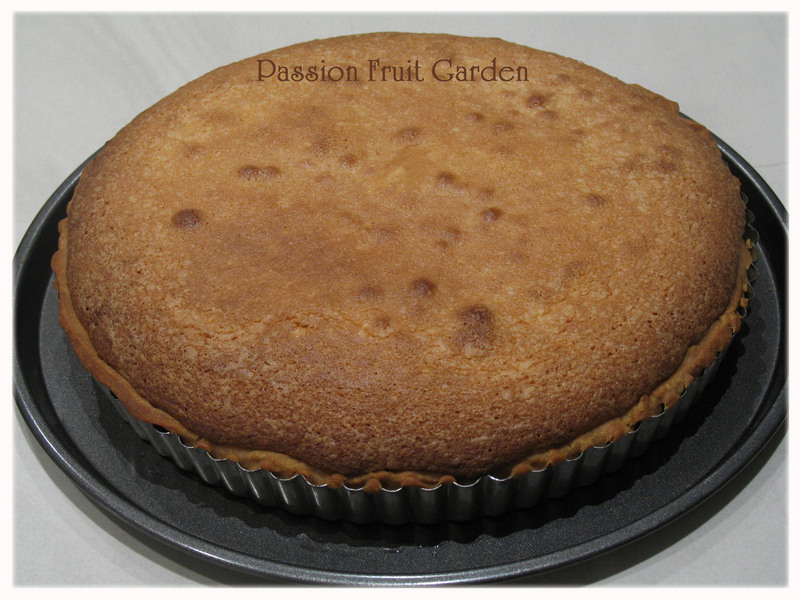 Lightly flour pastry and rolling pin and roll it large enough to fit a 28cm loose bottom tart tin. When ready, hang pastry over rolling pin and place over tart tin. Gently push pastry into edges of tin. This pastry is easy to work with so you shouldn’t have any problems but, if you do, don’t worry – just patch away. Using a pair of kitchen scissors, cut pastry about 1cm taller than side of tin. Prick a few holes in pastry base. Place alfoil over base and sides of pastry then cover base with pastry weights (I don’t have any weights when down south so I use some gravel stones I have collected.). Place in fridge for 20 minutes whilst oven is preheating. Bake in moderate oven (180°C) for 10 minutes. Bake uncovered for another 10 minutes. If base rises, press down gently and prick it a few more times. Whilst tart case is still warm, spread quince jam over base of pastry. I used a bit less than 1½ cups. 250g ground blanched almonds. To blanch almonds, put almonds into bowl and pour boiling water over them. Leave a few minutes and then slip skins off. Once the skins are removed, spread almonds out on a tray and leave in warm, dry place for a few hours – sunshine is good. Once dry, grind almonds until fine. Put the butter and the sugar into a food processor and process until pale and creamy. Add flour and pulse for a second or two. With the processor running, add the eggs, one at a time. Add the almond meal and process until well mixed. Pour frangipane over tart base. Bake in preheated 175°C oven for 45 minutes. When done, a skewer inserted into the tart should come out clean. Once cool, dust with icing sugar and serve with whipped cream. Tart can be made the day before serving and keeps well for several days. This entry was posted in Desserts, Homemade Produce, Jams and Jellies, Pies and tarts, Preserving the bounty, Quinces and tagged Almond tart, Damien Pignolet, Frangipane, Frangipane Tart, Pâte Sablée, Quince Jam by Glenda. Bookmark the permalink. Your quince jam looks stunning – and the top picture looks like it came right out of a gourmet magazine. I like your blog. Hi Mariana – thanks for the compliments, you are so kind. I made individual Frangipane Tarts sometime ago when I first purchased Jamie’s 30 Minute Meals book. He recommended using bought pastry cases, but next time I will make a shortcrust pasty. They were really nice even though they only had jam in them with the Frangipane mix.